It seems like I have been working on these socks for so very long. They were a fun knit, but unfortunately interrupted by a new spinning wheel and a Haapsalu shawl kit. Fun and funky is a good way to describe them. I love these colors, they are so ME (although I think that they are being saved to be gifted). And the yarn is wonderful, too bad this company split up. 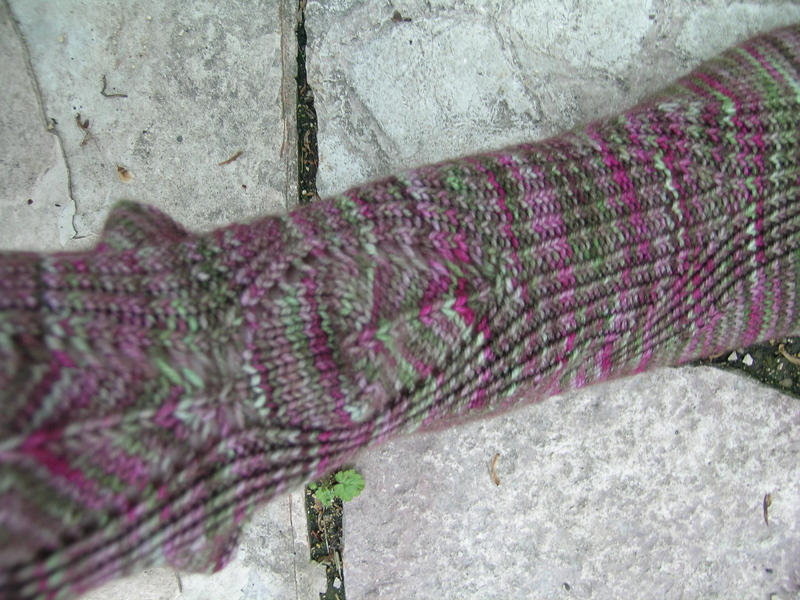 Look at how the pattern continues along the front of the foot, and the gusset decreases are accomplished by blending the pattern portions of the sock together. Cookie genius as usual! Been following your progress on these and am tickled to see them done! Still love the color and the pattern (with those cool little dragon spikes on the sides). I have reclaimed my “put on hold” love of socks and am working on finishing two I started. I am side tracked right now with a baby hat for a baby that is not going to wait, and then back on my sock finishing quest. 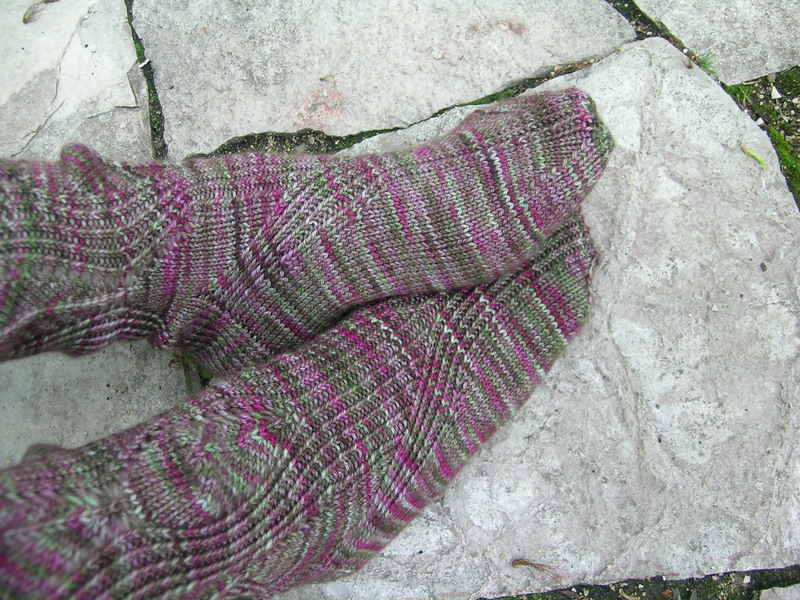 One thing I hope to accomplish is learning to knit two at a time…….I hate the dreaded second sock syndrome! Two socks at a time is not something that I think I want to do. I am afraid that I would get confused, loose my rythmn, make mistakes. I know that some like them, but I do not seem to have a problem wanting to finish the second sock. Good luck with it! As you know, I love socks, and they make the best gifts. ← She thinks this is stash?